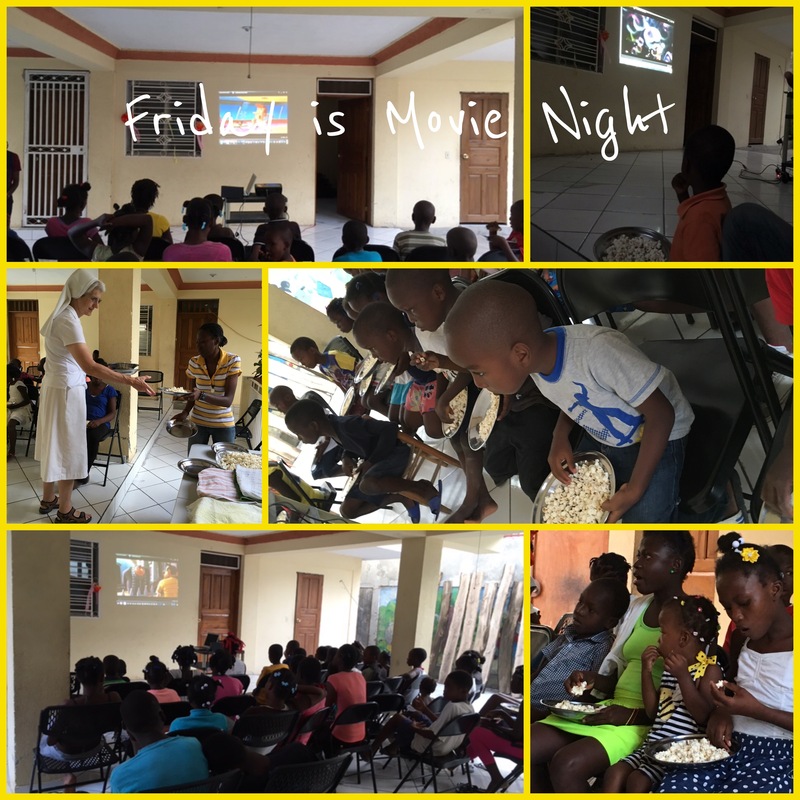 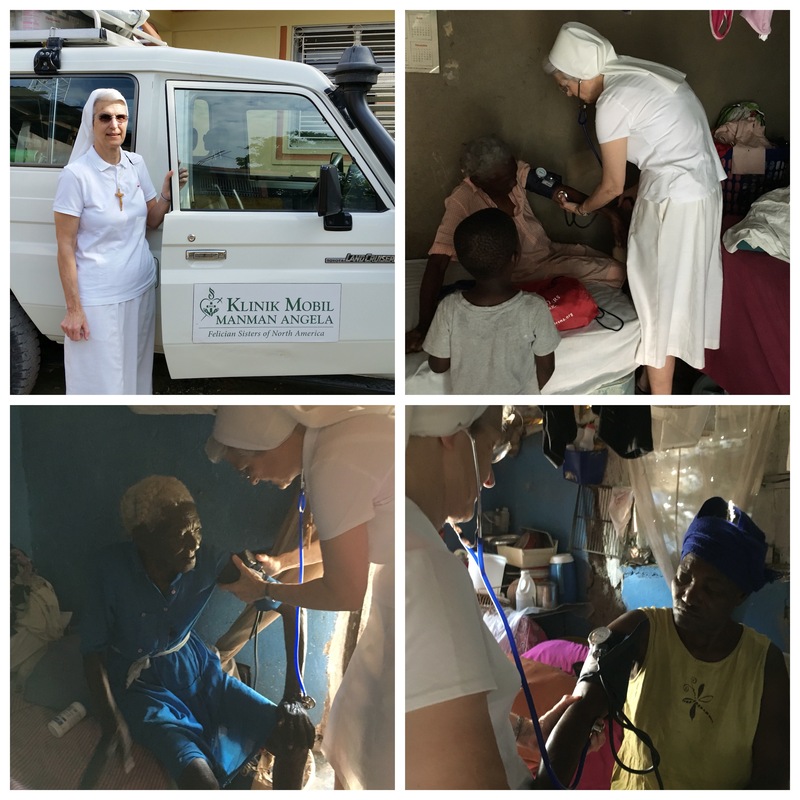 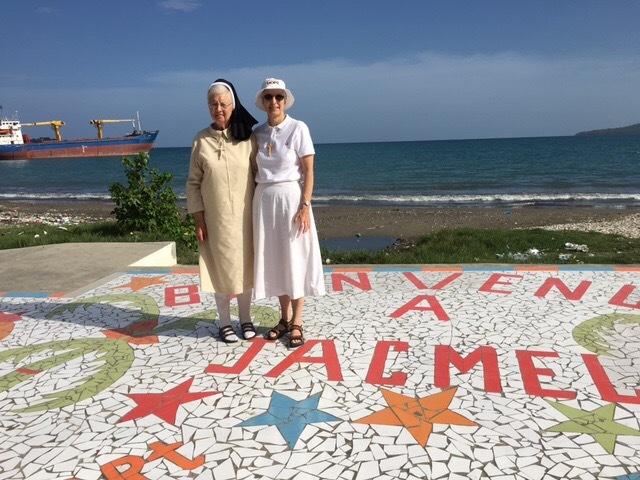 On Friday, April 8, Sister Nancy Marie, from Enfield, Connecticut, arrived in Jacmel to join us in the Haiti Mission. 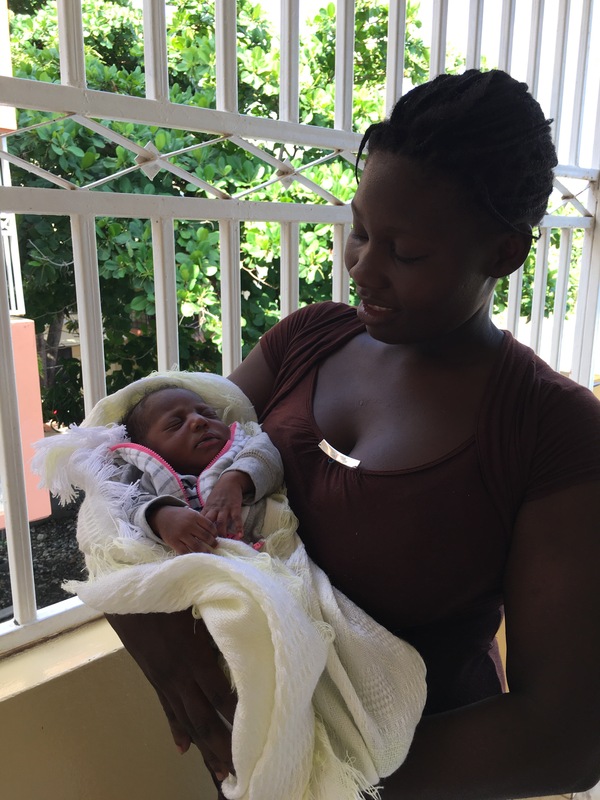 She will be assisting in the Mother Angela Clinic since she is a nurse. 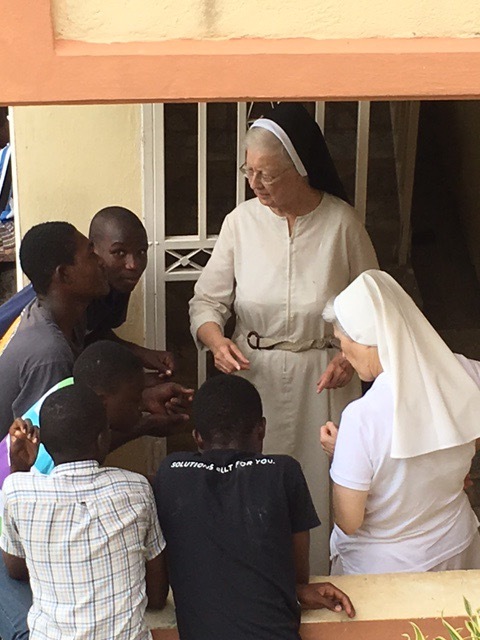 Sister Nancy has already embraced the Art of Accompaniment by embracing our people and walking with them as she responds to the needs that come to our door. 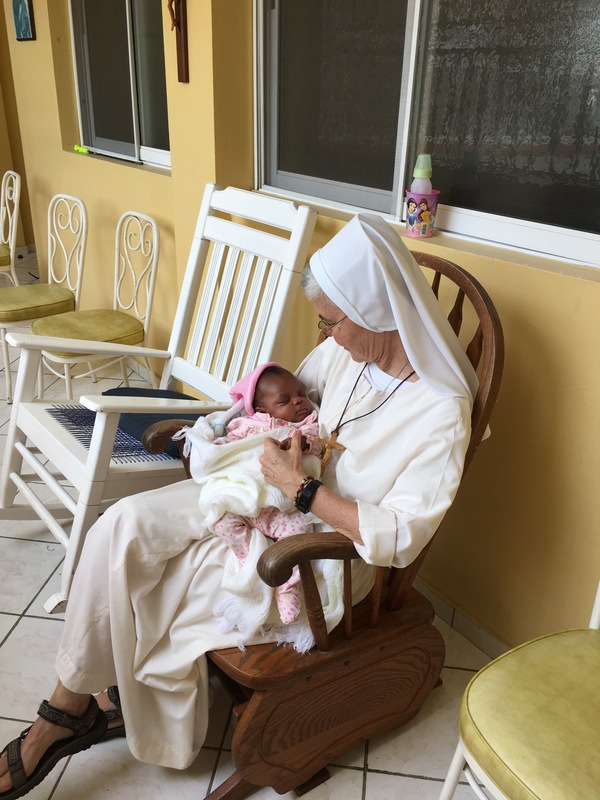 It didn’t take long for that to happen. 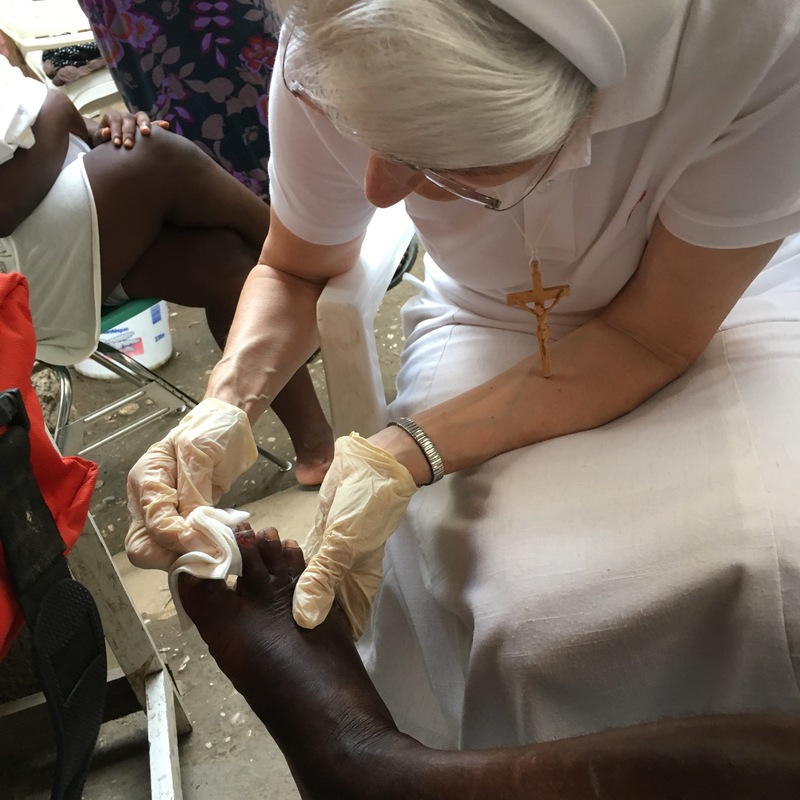 The father of one of our teens had a heavy bucket of water fall on his foot and cut his toe very badly. 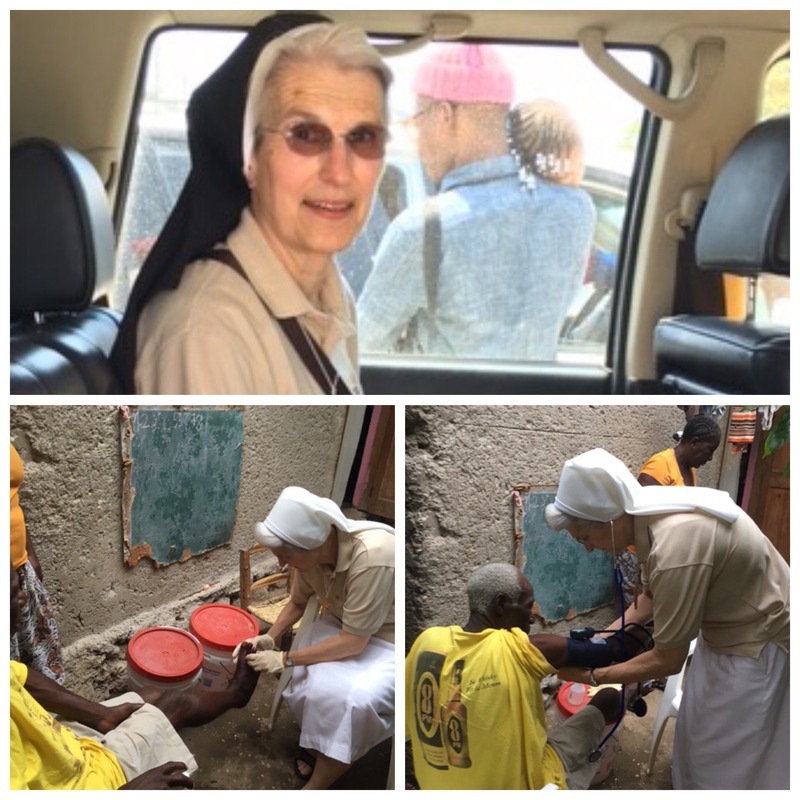 We immediately went to make a house call, which meant we needed to crawl through a hole to get there. 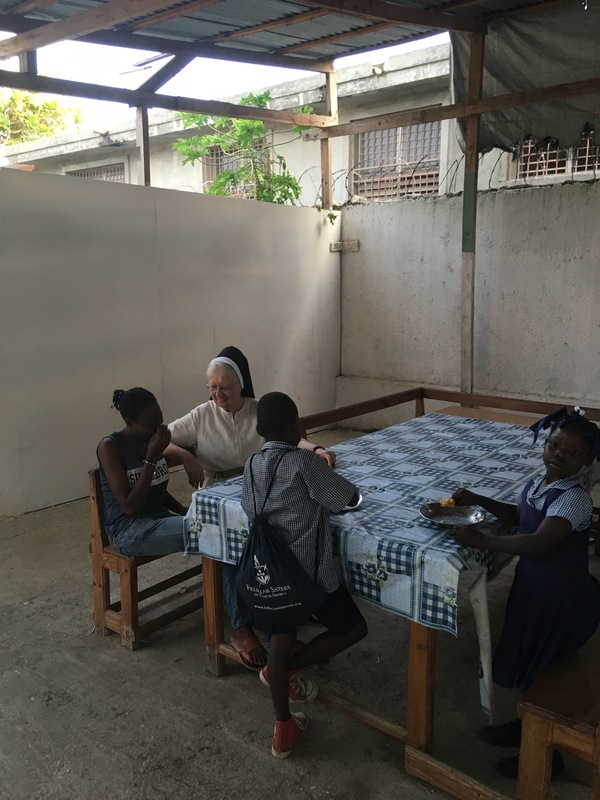 Sister Nancy was bit surprised to meet the goats and chickens along the way. 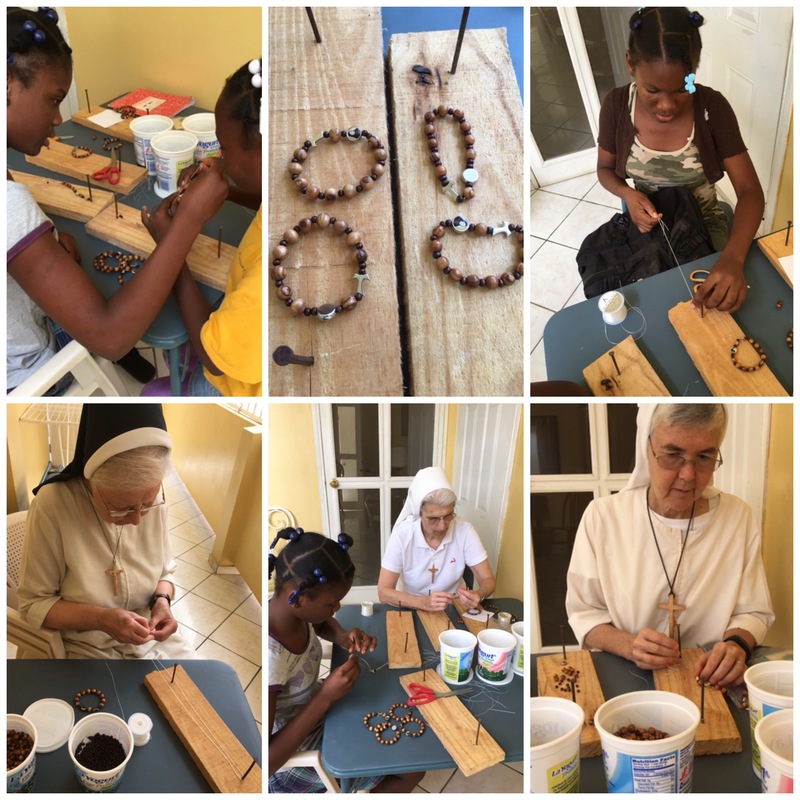 Akeyi an Ayiti, Sè Nancy! 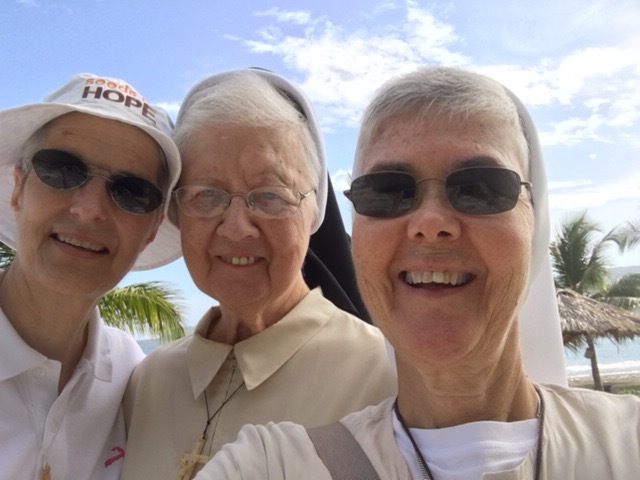 Welcome to Haiti, Sister Nancy!